The frantic pace begun at the end of May has consumed two entire months. Living in a state of urgency for extended periods of time is unhealthy for both mind and body. So, even though my head is still spinning from all the activity of the last eight weeks and my “to-do” list is still bursting at the seams, I’m making a conscious effort to slow the pace a bit. During this frenzy, I didn’t realize how homesick for a keyboard my fingers had become. Not that they’ve been idle, mind you. But stroking a keyboard is a much gentler creative outlet than pounding a hammer! 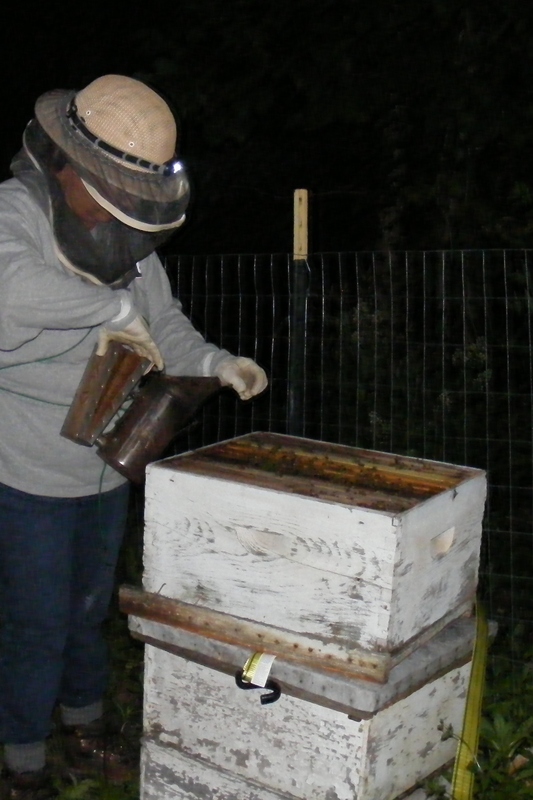 Before spring’s graduations, gardening, and beekeeping deadlines could be crossed off my list, my daughter and granddaughters moved in, creating a whole new list of urgent projects to be completed. During the remodel of the girls’ bedroom, we discovered a low spot in the roof that had collected rainwater and caused structural damage we couldn’t ignore. After the new roof and structural repairs, we started working on loft beds for the girls. Just as the sawdust and lumber were cleared from the bedroom, my older granddaughter’s cat delivered a litter of kittens that needed new homes. She excitedly swapped one of the kittens for an Angora bunny who loves to kick the bedding out of her cage so that it could be tracked all over the house. Needless to say, “Build Rabbit Hutch” quickly moved to the top of my list! The only break in activity came during a visit with my younger daughter in Nebraska during the week of the fourth. I was grateful to be able to relax and refocus during that brief hiatus. But I haven’t flown in years, so the “airport adventures” were a wee bit stressful. So……. I’m taking a slow, deep breath and promising to update all my wild projects and adventures at WildGardenBurbstead.com soon! I Finally Have My Bees! Visit the Wild Garden Burbstead.com to read about the bees that are living it up in the Top Bar hive I built. I condensed and re-posted my old posts from this blog about building the hive in parts #1 and #2. Then, it part #3 I share the harrowing experience of having a bee caught under my bonnet! And please note that I’ll stop posting on this site soon. If you would like to continue following my adventures, please follow me at my Wild Garden Burbstead.com site and/or my Gina Gaines.com site. Come on over to The Wild Garden Burbstead and read about my “Moldy Mishap” while remodeling the kid’s bedroom! To read about this project, go to wildgardenburbstead.com . I will no longer publish new posts on Gina’s Inspirations. But I will continue to notify you that there is a new post on either of my new “.com” sites for a few more weeks. If you enjoy the stories about building our burbstead, permaculture, gardening, and frugal living, you can follow me at the Wild Garden Burbstead site. You can also follow me at ginaagaines.com for arts and crafts, herbals, recipes and personal reflections. I hope to continue “seeing” you at either, or both, of my new blogging sites! Some of these worrisome widgets wear me out! My new Wild Garden Burbstead blog posts won’t show up in this sidebar. So, I’ll just be posting little notes that will direct you there. The last post was about the creation of our little burbstead. I’ll be getting my bees soon and will hopefully post another update soon. The new roof is almost finished, so updates on the bedroom remodel will also be reported. I look forward to “seeing” you at my new blogs! Well…… wouldn’t you know it….. now that I’ve published this post, the widget seems to be working! Maybe it was “shamed” into action. HA! I’ve published a new post titled Family at ginagaines.com. You can also see excerpts from my new website in the right sidebar that you may enjoy. I look forward to “seeing” you there! 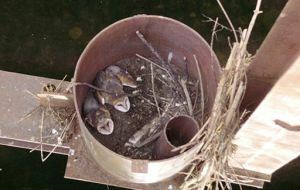 Baby barn owls nesting on a bridge, courtesy of the Oregon Department of Transportation. 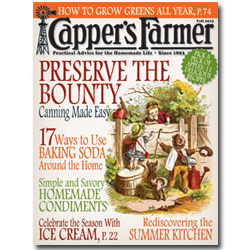 How to Build a Barn Owl Nest – Modern Farmer. I live in a small southern city nestled in the foothills of the beautiful Smokey Mountains. My children and grandchildren are blessed with the sweet memories of honeysuckle nectar, buttered cornbread and sweet tea. Creating, learning and nurturing are my passions, so my life is a constant adventure. And I must admit, I'm loving every minute of it! Just click the image to visit! Check out this awesome blogging community!